From orientation to graduation Student Affairs is here to support student success. 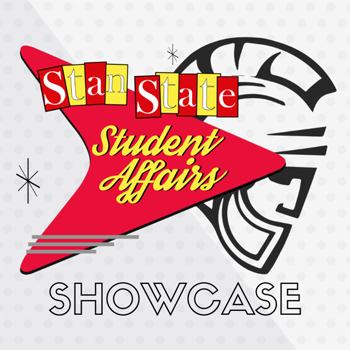 Students are invited to our Student Affairs Showcase where all of our departments will be providing information about the programs, services and resources we have to offer. Join us, get informed, and enter giveaways to win warrior swag. Persons with disabilities who anticipate needing special accommodations or who have questions about physical access may email JTGonzalez@csustan.edu or call (209) 667-3177 in advance of the event.